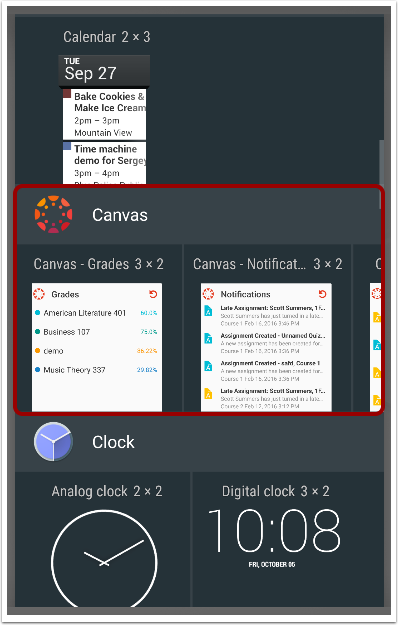 Canvas for Android - How do I add a Canvas widget to my Android device? 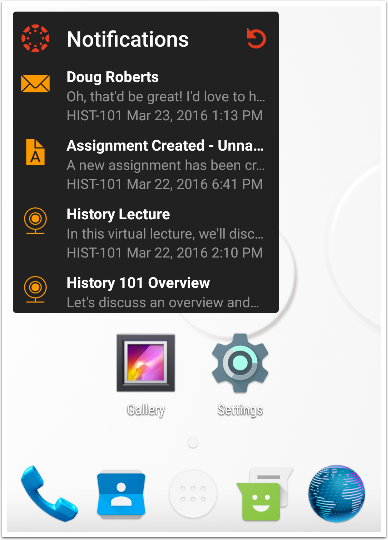 Canvas comes with several widgets for quick access to Grades, Notifications, and the To-Do List. Note: Depending on your device, the steps to install may vary from what's pictured below. 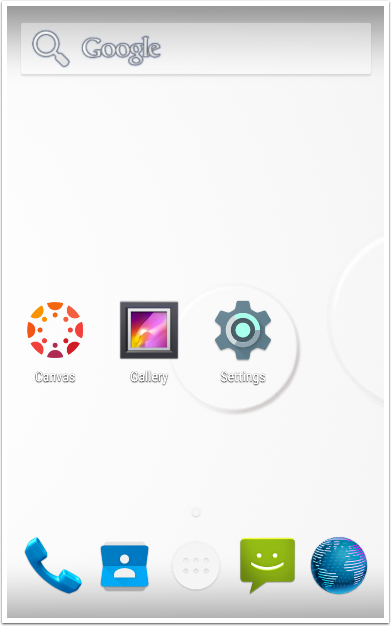 Swipe through the screens until you see the Canvas Widgets. 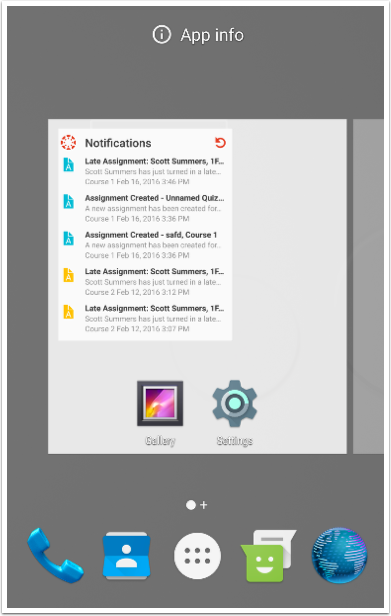 Swipe right to left to view widgets for Grades, Notifications, and the To-Do List. 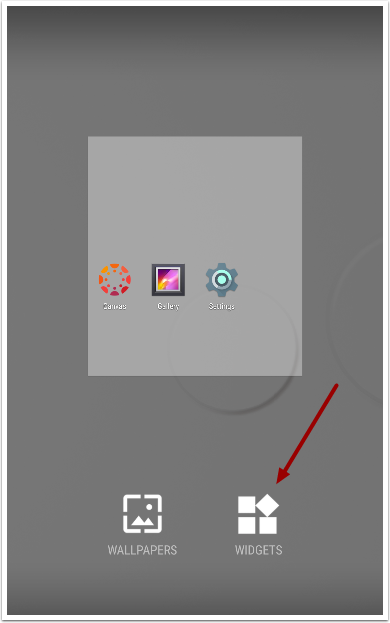 Tap and hold the widget, then select a screen to place it on. 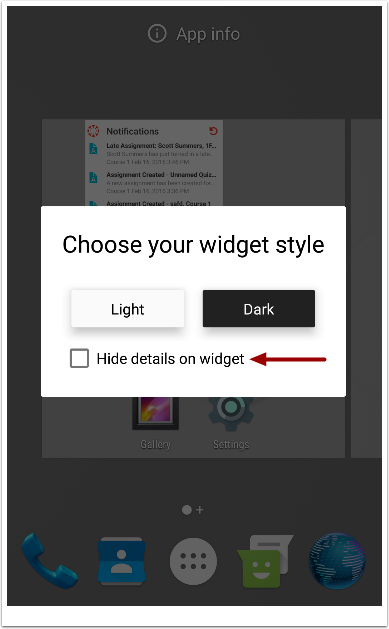 If you want to hide the details in the widget, tap the Hide details on widget checkbox. 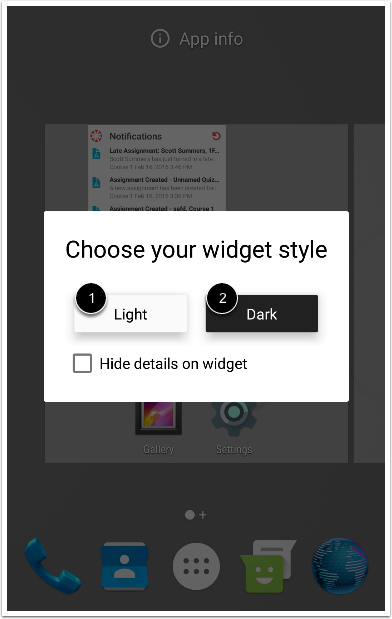 Tap your preferred widget style: light  or dark . Tap and hold on the widget. Tap and drag the resize icons. 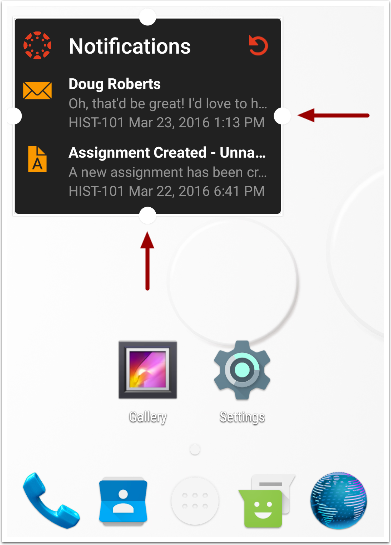 View your Canvas widget. Tap any item in the widget to view that item directly in the app.